The Peregrine Fund convened the first Neotropical Raptor Conference in Panama in 2002, and launched the Neotropical Raptor Network to bring together the community of people working with raptors in the Neotropics and provide for periodic Neotropical Raptor Conferences. The Peregrine Fund currently supports the NRN financially and with staff support, it provides financial backing for the conferences and it will provide a limited number of travel scholarships to authors presenting papers. Aves Argentinas is the local partner of BirdLife International in Argentina and serving as the local NGO responsible for logistical coordination of the II Neotropical Raptor Conference and banking logistics within Argentina. 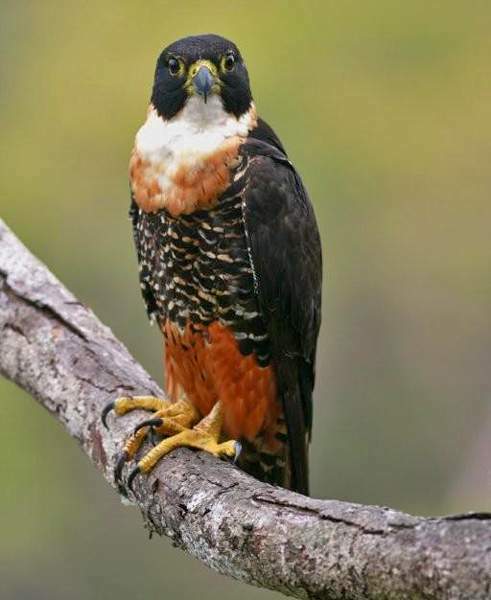 Hawk Mountain Sanctuary will publish the proceedings of the II Neotropical Raptor Conference, and provide a limited number of travel grants for students presenting papers on raptor migration at the conference. Argentine Institute for Arid Lands Research (IADIZA) is a part of the province of Mendoza's Scientific and Technical Research Council (CONICET). IADIZA-CONICET is providing logistical and staff support for the II NRC in Argentina and within the province of Mendoza. Guira-Oga is an NGO local to Iguazu, Argentina dedicated to rehabilitation of injured wildlife, particularly raptors. Guira-Oga is providing local logistical support for the conference. It will also be donating tours of the facilities to conference attendees and providing a live raptor display at the conference venue. The Schubot Center for Exotic Bird Health at Texas A&M University is dedicated to improving the health of wild and exotic birds by promoting research into the causes, diagnosis and prevention of their diseases. The Schubot Center is contributing a workshop and a symposium to II NRC on the handling of wild and captive raptors.